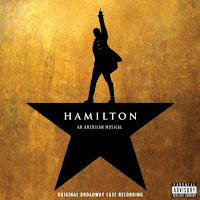 Welcome to the Hamilton book TAG! those who don't know, Hamilton is a musical that is basically the big thing right now. Getting tickets is basically impossible since it's just THAT good. It took me a while until I actually checked it out, despite having seen people talk about it on twitter like crazy. But once I checked it out, I can't stop anymore. This TAG was created by maureenkeavy over on YouTube and I discovered it through polandbananaBOOKS. Of course I immediately thought that I simply have to do it too. So strap yourselves in and let's get this party starting! 1. The Room Where It Happens: Book world you would put yourself in. Okay, this is probably my favorite song of the entire musical because of just how upbeat and fun it is, a great song to dance to. But that's not the point. Okay, the answer I think is definitely a no-brainer, since I'm sure everyone and their grandmother will say this very same one: Harry Potter. I mean, why would you want to live in any other fictional world when you can live in the wonderful world of Harry Potter. And don't tell me I can't pretend I'm 11 so I can go to Hogwarts. 2. The Schuyler Sisters: Underrated Female Character. This one was a tricky one because I had the option between going with an obvious or different answer. In the end I think I want to go with the latter, a non-obvious answer. So, I will go with Maddie Freeman from the Awaken trilogy by Katie Kacvinsky. I love her character, love the trilogy, and am really sad that so few people have read it and appreciated her and the world she fights against. 3. My Shot: A character that goes after what they want and doesn't let anything stop them. Another one of my favorites from Hamilton. This was actually the first song I ever heard from it during their live stream from the White House. 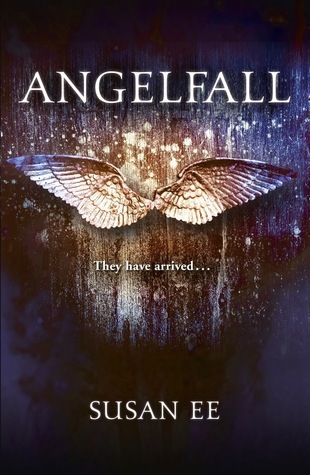 For this one I'm going to do with Penryn from Angelfall. Throughout the entire book her only focus was finding her sister and she didn't let anyone get in her way of doing just that. There was no getting sidetracked, no forgetting about it for half the book and then being offered some lame quick solution, but it was THE thing on Penry's mind. 4. Stay Alive: A character you wish was still alive. Because I don't want to bring up any dramatic spoilers, Allegiant looking at you again, please simply refer to answer #6 for this one, though ONLY if you you're all caught up on BBC Sherlock, or don't care about the show. 5. Burn: The most heartbreaking end to a relationship you’ve ever read. This song is beautifully tragic and filled with emotions, I love it. My answer for this one will definitely be Champion by Marie Lu. I don't even know how to formulate my thoughts for the way this relationship ended. 6. You'll Be Back: Sassiest villain. For this one I will just go ahead and take a TV show character, who also happens to be a book character actually, simply because I can and love this character lots. 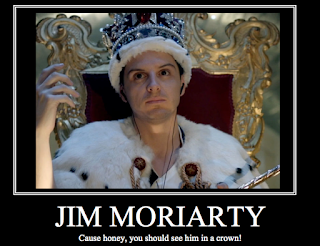 Of course I am talking about the one and only James Moriarty from BBC Sherlock. 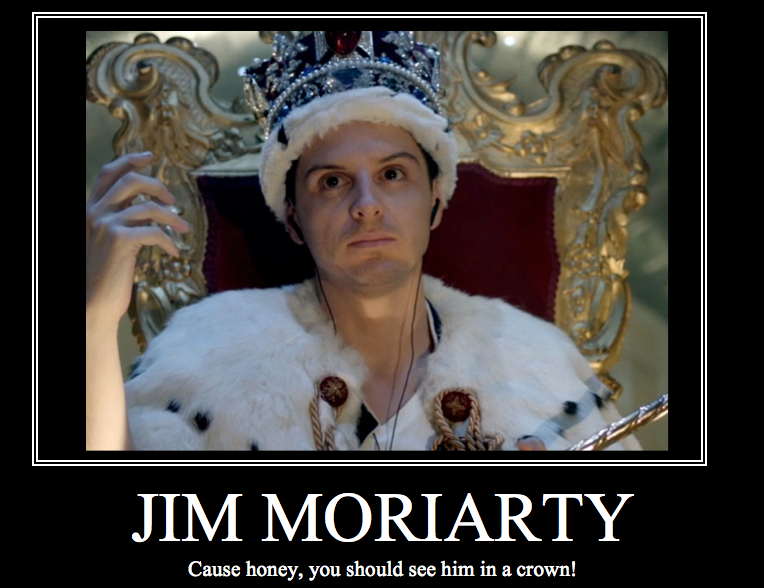 I love that series, I love Moriarty, I love the actor who plays him and the way he plays him. He is sassy and amazing. 7. The Reynolds Pamphlet: A book with a twist that you didn’t see coming. I will not answer this one because, just like Christine (polandbananasBOOKS) I REALLY don't like to know about a twist before going into a book. I want the twist to take me complete by surprise and not be wondering all through the book WHEN it will come. That isn't the point of twists! 8. Non-stop: A series you marathoned. The series that comes to my mind, besides my usual answer being the Mara Dyer Trilogy by Michelle Hodkins, is the Vampire Academy series by Richelle Mead. I bought this one maybe a week before my mock exams, which might have not been my wisest move, and one I picked up the first book, I felt myself unable to stop until I was done with all six of them. My grades ended up pretty good despite that, so there was no damage done. 9. Satisfied: Favorite book with multiple POVs. 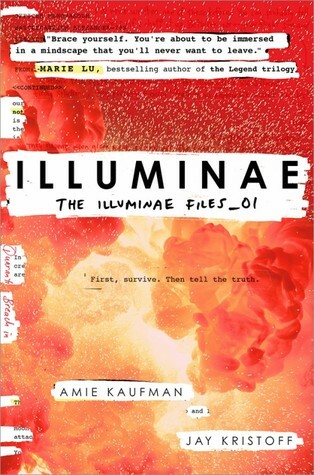 I'm not quite sure if this book counts, but I will just pretend it does for the time being, and say Illuminae by Jay Kristoff and Amie Kaufman. This book blew my mind while I read it and I am anticipating the sequel like nothing else because I HAVE to know how the story continues. If you've not read this one yet, definitely give it a chance even though it's a massive book. The audiobook is also truly amazing with a while number of different voice actors reading the different characters. So good! 10. Who Lives, Who Dies, Who Tells Your Story: A book/series you feel like will be remembered throughout history. As much as I would LOVE to say the Mara Dyer trilogy by Michelle Hodkin, Some Boys by Patty Blout or The Weight of Zero by Karen Fortunati, we all know the one and only true answer to this question is Harry Potter, because Harry Potter. No need for further explanation. And that was it, that was the Hamilton Book TAG. I had so much fun doing it, and of course listening to Hamilton while answering because that's just a must and a given. What are your thoughts on Hamilton? If you do this TAG, leave a link in the comments below or tweet it at me (@Alice_Reeds) so I can check out your answers!